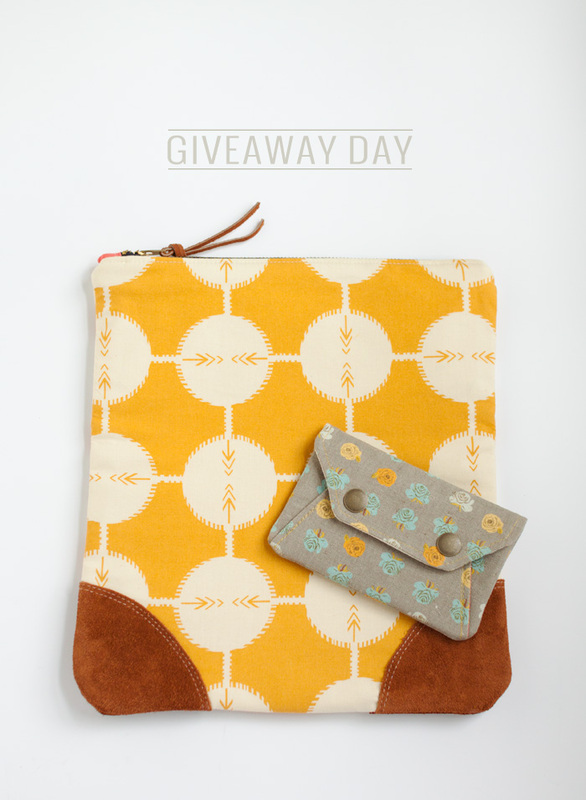 It's that time again...Sew Mama Sew's Giveaway Day! 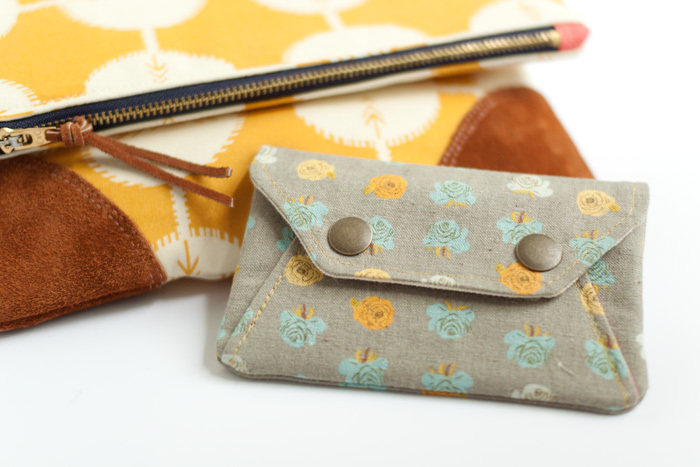 I'm giving away two bags I made using some of my favorite fabrics from my stash to one lucky winner - a fold over zipper clutch with suede corners and brass zipper + an envelope style wallet with metal snaps and a secret pocket. Giveaway details at the bottom of the post. 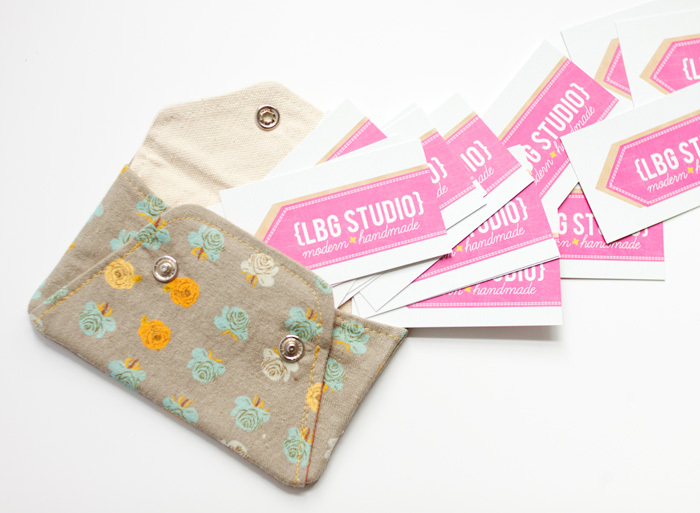 Make sure to head over to Sew Mama Sew to check out all the other giveaways! To enter, simply leave a comment below sharing your favorite movie or tv show! Good luck! Beautiful! Would love to win those! alliepesch at gmail. I know you only ship to the US - but I bet I know someone who will forward these beauties to Denmark WHEN I win ;-). And to answer your question - for the time being my favorite tv show is Game of Thrones. The bags are adorable! Thanks for the giveaway! My favorite shows right now are Mad Men and Game of Thrones. And True Blood will be back soon too! Love these beautiful bags!! My favorite show right now might be Parks and Recreation. Thanks for the chance to win!! Beautiful! My favorite show lately is ...and don't make fun of me... Dr. Who. I know, I'm a total nerd! Hooray hooray for giveaway day! I love these bags! I'm terrible at remembering movies I like, but right now the one TV show I watch religiously is "Gray's Anatomy." Thanks! Oh my goodness I love this! Thanks for telling us which fabric you used. The Roses on Gray is perfect! I'm really digging Once Upon a Time right now. Lots of fun. Of course had you asked me a couple months ago, I would have said Downton Abbey! My favorite tv show is True Blood. Can't wait for the new season to start. One of my favorites is the original CSi, I have been a faithful viewer from the beginning. I've been a fan of Real Housewives of Orange County since its beginning. What can I say, I'm a sucker for trashy shows! Wow!!! I want those!!!! My favorite show is new girl! I'm loving game of thrones too, so good! My favorite movie is probably pride and prejudice, but it's hard to pick just one! oh I love them!!!! 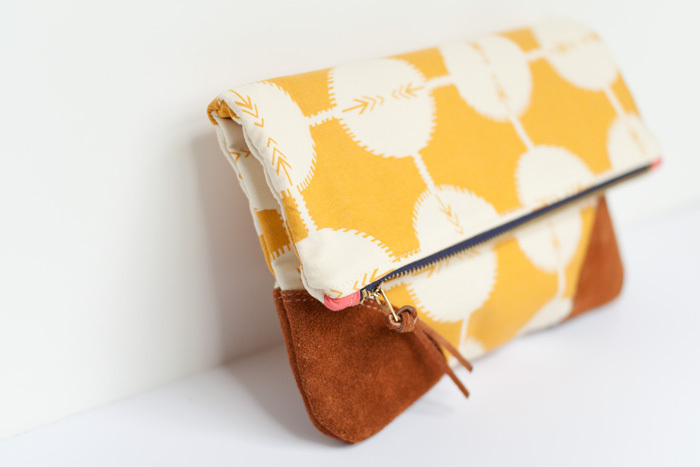 I secretly am going to cheat on my own envelope clutch pattern and try Michelle's out, I love how cute they are. Okay, my favorite movie is Shawshank Redemption or we were just talking about the Count of Monte Christo. Love those movies. oh I would love this! My current fav tv show is Castle. Right now I'm really into Call the Midwife. Downton Abbey, I am watching reruns off my DVR. THey are both beautiful. Hmmm.....that's a tough one, but my girls and I have been watching the Anne of Green Gables series recently, so that one stands out right now! :) Thanks for the chance at this lovely gift! My favorite feel good rainy day movie is Sweet Home Alabama. I also currently love the show New Girl. Ooh! 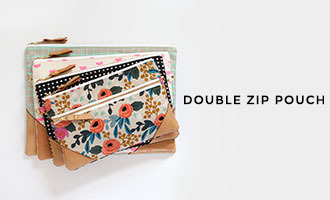 Just FYI I made two of your pencil pouches in the last couple weeks, fantastic tutorial! And I love these bags too! Oh wow Vanessa, these are gorgeous! What a fun giveaway! My favorite show is a tough one - I like a few although haven't been watching TV too much lately. I'd say Parks and Recreation is up there along with Mad Men. I know, quite the combo ;) thanks for the giveaway!! I just made my own LBG Leather Accent Fold Over Clutch and I would love to win this one and the envelope style wallet! A girl can never have too many clutches! My favorite TV show is Modern Family! It's hilarious! So many fav shows. New Girl. Mad Men. Dexter. Glee. Bones. I'm all over the place!! Such a cute giveaway. Thanks for the chance! I love the movie Sweet Home Alabama. My favorite shows right now are Hannibal and still Greys. Thanks for a great giveaway. My favorite movie(s) is The Italian Job, love both the original and the remake but my absolute favorite scene is the mini dance in the factory in the original version. Thanks for the chance at a wonderful giveaway! These are beautiful- Whoever wins will be very lucky! I am such a t.v junkie- it's how I wind down at the end of the day.i'm obsessed with Game of Thrones, Grimm, Gilmore Girls, Bones- the list goes on and on! Last of the Mohicans is my all time fave! Sappy but true. Thanks for the chance! My favourite movie is without a doubt When Harry Met Sally - always and forever. Love this bag and wallet. So simple and chic!! Thanks for the giveaway! My favorite TV Show right now is Revenge. Favorite movie- wizard of oz & favorite show- anything on hgtv, especially design star! Loving watching New girl with the hubs and laughing endlessly at it together. Hello! Favorite movie has to be "Funny Girl"! Classic Barbara Streisand in the role of Fanny Brice, a Ziegfield Follies star from the 30's. Gorgeous costumes from hats to shoes/boots and unforgettable music. A bit more current TV programs would have to be "Touch" with 24's Keifer Sutherland and the creepy, but interesting, "The Following". Love the fabric choice on the gold foldover bag and the sweet contrast of gold and light blue flowers on the envelope clutch. Love this purse so much! So many favorite shows. I can't miss Scandal and the show I'm still mourning over is Pushing Daisies, best show ever! I'm hooked on PArks & Rec right now. My favorite is the Amazing Race. Thank you. My favorite show is coronation street. I can't help it, I'm addicted. My favorite TV show is Modern Family, and my current favorite movie is The Avengers. My all time favorite movie is The Princess Bride. My favorite movie is Amazing Grace. Those are both so beautiful! Thanks for the awesome giveaway! i'm a doctor who nut. admittedly. Hmmmm...I have such a hard time remembering movies and shows. I do enjoy Breaking Bad quite a bit. I watch NCIS and NCIS: LA pretty faithfully. Gorgeous sewing! My favorite movie is Pride and Prejudice, the original 1995 version. Thanks for the giveaway. My favorite TV show right now is Great British Sewing Bee (watching on YouTube). Beautiful bags! Thank you for the giveaway. I love the Lord of the Rings trilogy and the office. Sad its ending. Currently into Game of Thrones and White Collar. Love this giveaway. So pretty and generous, thank you for the chance. I'll tell you my favorite movie, "Down Periscope" Just a stupid funny that makes me laugh every time. TV show? The Voice for reality and for pure suspension of reality, Grimm. lovely bags :)the cosby show was the best!!! Oooh that's classy. Like it. For current shows, Big Bang; for all time shows, As Time Goes By; for movies... probably the A&E/BBC 1995 Pride and Prejudice, which would likely count as a tv show too, as it was a made-for-tv miniseries... so maybe the 1980s Anne of Green Gables. Om heck are you kidding me? I'd be over the moon excited to win these lovelies! Thanks for the chance! The Big Bang Theory is what we've been watching lately. Made it through seasons 2-5 in a couple weeks. So funny! My favorite show lately is Hell's Kitchen :) Thanks for the amazing giveaway! As far as shows go, I would have to say either Psych or Merlin. These are absolutely gorgeous! Right now I'm loving Psych. Thanks so much for sharing!! Love your blog! I've been watching Once Upon a Time lately, it's pretty fun! Thanks for the chance to win. I love your blog and your bags. I started following you last give away day! I love Dexter and Breaking Bad! They're always so exciting! Favorite TV right now is The Good Wife. I have really enjoyed Fringe on television. Thanks for the chance to win your bag it is so nice. I love these!! Thanks for the chance to win :) My favorite movie is the princess bride! Great bags. I'd love to win. My favorite TV show is The Amazing Race. Thanks for a chance to win. I love The Big Bang Theory. It makes me laugh every time. What a generous giveaway. Thank you for participating in the Giveaway Day. I'm currently in love with Once Upon a Time. But my all time favourite show is Gilmore Girls. Cute little bags! I especially love the little one! My favorite shows to watch right now are Smash! and Hart of Dixie!! I love a good romantic drama/comedy!! Amelie is still my favorite movie. My favorite TV show is Big Bang Theory. Love the bags! These bags are really great. My husband and I watch tv series on netflix, and we just finished Alias, which I really enjoyed. We only watch one show at a time, and whatever we're watching I get really into. My favorite TV show is Castle. I'm watching it as I type this comment. My current favorite is The Mentalist! My favorite tv show right now is Game of Thrones! Gosh, that's such a tough question. Right now I'm addicted to anything British. I love The Bletchley Circle, Call the Midwife, and Mr. Selfridge. I blame Downton Abbey. That's what started it all for me. Oh geez, these are totally perfect! Would love to win. Favorite TV show...Arrested Development! And it's coming back, woohoo! Those are adorable! I'd have to say Monk. I love love love Monk. Don't really like tv, but keep it on Fox News most of the time. Beautiful! I just watched The Great British Sewing Bee and it was great! I am not a TV watcher but my favorite is actually the news - probably Fox. Dated - yes - but I love reruns of Columbo - Thanks for the chance for the giveaway!! love your bags! my current favorite show is Parks and Rec! lovely giveaway! Thanks for hosting! I love the movie Return to Me. Such a sweet storyline! I don't have TV currently, but through Netflix we loved the tv series for Walking Dead! Great show! I'd love to win this, gorgeous! I love New Girl. Always, always, always makes me laugh. Love. That. Clutch! And Singin' In The Rain, too! My favorite tv show is Downton Abbey. What a wonderful giveaway! Right now I have three favorite television shows, Pretty Little Liars, 2 Broke Girls and Downton Abbey. I'm always last to these kinds of parties. And that bag is too. die. for. apart from being a downton abbey addict, I don't really sit down to watch many shows (too many things to create!) but I love, Love LOVE, stranger than fiction and can watch it over and over again. which is saying something for those "once you know the ending" kind of movies, it still reals me in. I love Will ferrel and Maggie Gyllenhaal. his cover of "whole wide world" is one of my favorites. I stink at picking a favorite anything! Too diverse of interests! I like lots of movies and tv shows....the first thing that popped into my head was 'Saving Grace'...a tv series from a few years ago, really interesting story line. I am really loving Call the Midwife. Thanks for hosting! My favorite TV show is The Big Bang Theory. Thanks for the chance to win, both of those are just beautiful! My favorite movie is My Big Fat Greek Wedding. It cracks me up every time I watch it. My favorite TV show is either Once Upon a Time or Downton Abbey. Thanks for doing the giveaway! Arrested Development is my favorite tv show. i'm so excited it's coming back! Favorite TV show is Big Bang - one of the very few things on TV my husband and I can watch together! The writing on 30 Rock was outstanding. Right now we're hooked on Midsomer Murders on streaming Netflix! LOVE the suede corners. :) Thanks for the chance to win! Thanks for offering such pretty items to win! So cute! My favorite show is Supernatural, partially b/c I watch it on the phone with my friend who lives across the country. Favorite movies are a tie between Legends of the Fall and The Emperor's New Groove...totally different genres...but that's fine with me! Lately I am loving the show Rules of Engagement. It is sooooo funny! right now, psych! cuz it's the only thing on netflix i'm interested in watching! plus, it cracks me up! thanks for the giveaway! 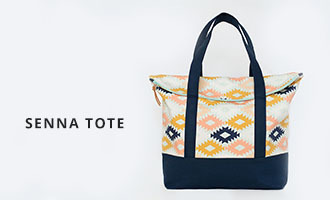 Such a cute little bag, I'd love to win! Dr. Who - I have loved that show for over 20 years! I love the Tree of Life (movie.) We're watching Bates Motel, Walking Dead, Breaking Bad, Once Upon a Time...there's a lot of good stuff on right now! Thanks for the opportunity to win this BEAUTY!! This picture alone drove me to the blog where I could find all of the participants. Nice work! My absolute favorite show is BBC's Sherlock-- it is beyond genius! I am in absolute awe of your work-- it is beautiful! The Good Wife is a favourite show. Despite the over the top violence, Django is my most recent favourite movie. I'm in Canada but if I were so lucky to win this, I would have you ship it to my daughter's best friend in New York who has her own "slow fashion" design under the name of "Clyde". She has a line that she crochets and she designs and makes beautiful hats that were recently featured on the cover of Paris Elle and inside Paris Vogue. Cool, huh? When I see these items you've made, they strike me as something Dani (the designer) would love. Oh dear I would adore this. I like watching Doctor Who and my fav movie is Finding Nemo or Princess Bride. Ahhh. . I'm calm again. Both bags are fabulous, I can see why these are your favorite prints. My guilty pleasure show would be Revenge. OMG, I would LOVE to win these! I've been admiring them for so long! My fav tv show is Big Bang Theory. I'm watching it right now! Thanks for the chance! Charlie and the Chocolate Factory! I could watch that over and over again (this is the older one, mind you ;) Those clutches are beautiful! Great giveaway and great questions! Fav show right now: Downton Abbey. What a gorgeous clutch! I have too many favorites! Sundays are the best Game of Thrones and Revenge. I love Castle, Grimm, and Big Bang Theory as well! Thanks for the giveaway! Beautiful bags!! I love The Big Theory and watch it as often as possible!! My favorite is either Downton Abbey or The West Wing. BTW, your bags are beautiful! Dallas. Thanks for the great giveaway! I love bones, but my favorite show was 30 Rock before it ended. So loving Mad Men right now!! Draper!!! I love Game of Thrones; Once Upon a Time and I am starting to watch Dr. Who. I am not quite sure I understand the draw yet. these are amazing!!!!! i really love the fabrics you've chosen, as well as the tooling you selected. really fantastic work - and these would be so loved and used by me. My current favorites are Castle, Person Of Interest, NCIS, Arrow and Grimm. My favorite is Law and Order-Criminal Intent. I have a few. Castle and Dancing with the Stars! Thanks! Ooh I adore these bags! My favorite movie is Run Lola Run. Thanks for the chance! Awesome! With small children I don't have much time for tv/movies lately, I know pretty sad but at one stage I was addicted to grays anatomy. Thanks for the chance to win! I love the TV series "Castle". I've watched it from the beginning. Thanks for sharing your beautiful pouches with us! All time favorite tv show is "I love Lucy" and my favorite current TV show is Psych! Thanks for the chance to win such lovely bags! Right now, The Good Wife is my favorite followed by Masterpiece Mystery! Love your bags. Thank you for the beautiful giveaway. My favorite shows are New Girl and Modern Family. Thanks for the chance to win one of your awesome fold over clutches!! I love tv so I have lots of favorites depending on my mood! But I think How I Met Your Mother is probably my favorite because there is an episode for every real life situation! Hilarious. I look forward to exploring your blog! Your items are beautiful! My favorite movie is "Grease." Ohh I love your clutch and fabric choice! :) My favorite movie is Amelie!! I'm loving Call the Midwife right now. Thanks for the chance! I've been watching a lot of Lost, Mad Men, and Dr. Who, and can't really pick one over the other. Thanks for the chance to win! Mad Men is my favorite! My fave tv show is big bang theory! These are beautiful! My favorite show right now is Once Upon a Time. Thanks for the giveaway. I like "The King and I"! big bang theory is my favorite right now. My favorite t.v. show right now is project runway. I love watching the process of all the different artist. I've been following you forever. Love everything you do! My favorite is as always, NCIS! My favorite shows are Mad Men, Nashville, and Gray's Anatomy. Thanks for the chance to win! These bags are wonderful, I would be so delighted if you picked my number! I don't think I could ever pick a favorite movie, or even an all-time TV show, but right now the only thing I watch (other than Survivor, major guilty pleasure) is Parks and Rec. And I *seriously* did not know so many other people watched it too.